Chama.k.a “Baby Cham” (bornDamian Beckett in 1979) isa Grammy Award-nominated Jamaican Dancehall Reggae recording artist. Any stageshow featuring Cham, with his seasoned set of players, translates to authenticdancehall culture in the great tradition of live music that Jamaica’s musiciansand artists have presented globally for five decades. Cham has come up throughthe ranks as a high-energy stage performer and musical recording artist who isone of today’s top acts in Dancehall Reggae. Alwayscreating original dancehall & cross-over music; throughout his career, Chamhas collaborated with many hip-hop and R&B artists such as: Alicia Keys: “GhettoStory”, Foxy Brown: “Tables Will Turn”, Damian Marley: “Fighter” and T-Pain: “Shottas",DJ Khaled featuring Cham and Rick Ross: “Bullet”, “Tonight” by Keke Palmerfeaturing Cham which is on the “Night At the Museum” feature film soundtrack,Akon: “Ghetto Story 3”, Mykal Rose & Bounty Killer: “Stronger”. Back in1996, he collaborated with Wayne Wonder on the lead single of the “Joyride” Riddimproduced by Madhouse which continues to be a classic dancehall cut forselectors. Cham stays busy touring the worldperforming at festivals and concerts on almost every continent. His most recentalbum “Lawless” has garnered much press and the official videos have alsoreceived accolades. This year (2018) has taken Cham toEurope for a string of sold-out festivals in the U.K and concerts throughoutthe east coast of the USA. His performance at the infamous Reggae on the RiverFestival and Reggae Sumfest (Jamaica) over the summer of 2018 were highlyregarded as top of top performances. 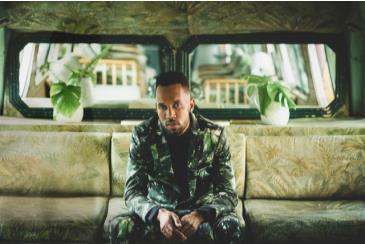 In 2017 Cham toured around the worldwith many dates being sold-out as the Japan, his Japanese fans were thrilled tosee the Dancehall superstar live. He also headlined the Bayfront Reggae andWorld Music Festival, Orlando Jerk Fest, and he joined the all-star talent onthe “Welcome to Jamrock Reggae Cruise”. His Lawless tour a major success inEurope, USA and Japan. DancehallReggae artist Cham has played many of the world’s most prestigious stagesincluding: Reggae Sumfest (2006), Hot 97’s On The Reggae Tip (2006), Reggaejam(2012), Montreal International Reggae Festival (2013), Welcome to JamrockReggae Cruise (2015), Rototom Sunsplash (2015), Uprising Reggae Festival (2015),Overjam Festival (2015) Boomtown Fair (2015), and the iconic NorthernCalifornia festival, Reggae on the River (2015). He is currently signed to Mad HouseRecords, and is still called “Baby Cham” by his fans in Jamaica and around theworld. Cham started out in the music business working with the Mad People Gangalso known as Madhouse Productions. This relationship led to the released ofhits such as “Many Many”, “Boom Tune” and “Man & Man”, all of these singleswere also featured on his debut album. Cham performs with his band, MadPeople Gang, a set of musicians with whom he has been creating music since thebeginning in their Sherlock Crescent community in Spanish Town. Green B, Coo-Yah! Ladeez sound system hailing from San Francisco, California. Follow me here and link up on Instagram @DjGreenBizzle For bookings hit me up at greenbsf@comcast.net! Catch me hosting Dancehall Saturday Night on Sirius XM42 The Joint!